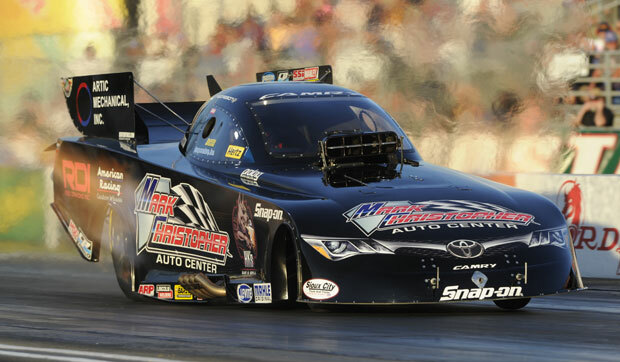 MTX with Tony Pedregon in his Top Fuel Funny Car. 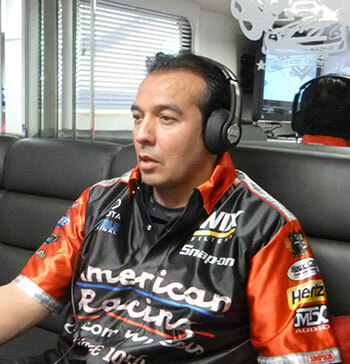 Tony Pedregon (born March 8, 1965) is a two-time NHRA Mello Yello Drag Racing Series Funny Car Champion from Torrance, California. He is also the youngest of the Pedregon brothers. Pedregon resides in Indianapolis, Indiana with his wife Andrea. He has four children, two daughters, Cecily and Arielle, and two sons, Desidario and Benecio. 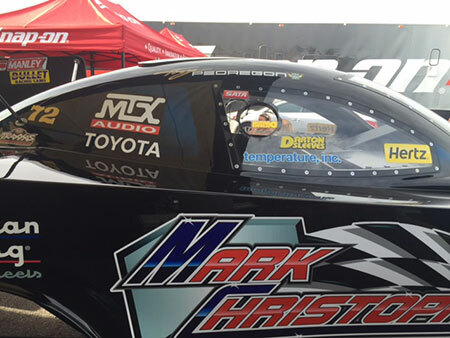 He is also the son of Drag Racing Legend Flamin' Frank Pedregon.